Children under 2 years: As directed by a physician. Children 2 to 6 years: Insert 1/2 to 1 rectal suppository. Do not repeat except on the advice of a physician. 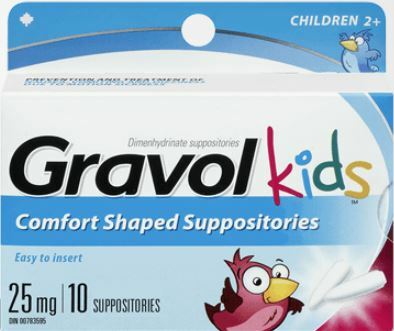 Children 6 to 8 years: Insert 1/2 to 1 rectal suppository every 8 to 12 hours or as recommended by a physician. To divide a suppository in two equal parts, remove from packaging and carefully cut with a sharp edge blade through the suppository. For easier insertion and greater patient comfort, moisten and smooth any edges on the suppository prior to use, after removing from packaging.